The decision on the PetroSaudi deal was made within eight days, without detailed assessment and despite unresolved issues raised by the board. > 1MDB CEO Datuk Sharol Azral Ibrahim Halmi (pic) signed documents relating to the acquisition of PSOSL without board approval. The PetroSaudi deal was 1MDB’s first business project. On Sept 28, 2009, 1MDB sealed a deal with PetroSaudi Holdings (Cayman) Ltd to set up 1MDB PetroSaudi Ltd joint-venture (JV) company. 1MDB takes a 40% stake with US$1bil cash investment, while PetroSaudi injects oil and gas exploration assets supposedly worth US$1.5bil for a 60% stake. A valuation report on the assets was presented a day later to 1MDB. By Sept 30, a total of US$1bil was transferred by 1MDB to two separate accounts – US$300mil to the JV company and the rest to an account of another company. 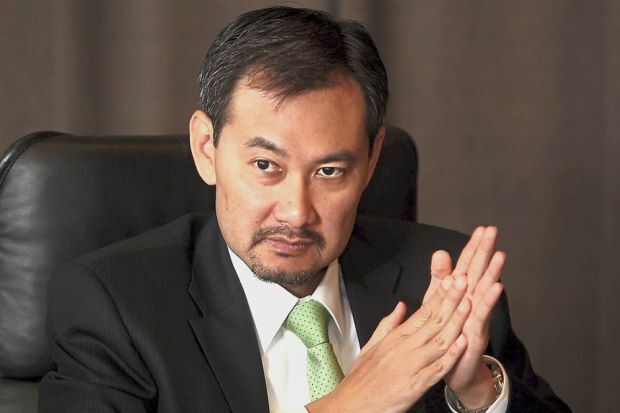 After six months, 1MDB disposed its entire 40% stake in the JV for US$1.2bil worth of Islamic debt papers issued by PetroSaudi International Ltd.
1MDB forked out an additional US$830mil to subscribe for more PetroSaudi International Islamic debt papers between Sept 14, 2010 and Oct 25, 2011. The debt papers were exchanged for a 49% stake in PetroSaudi Oil Services Ltd (psosl) on June 1, 2012. The deal was done without any detailed study and although it knew that PSOSL operates in US sanction hit Venezuela, it went ahead with the acquisition.